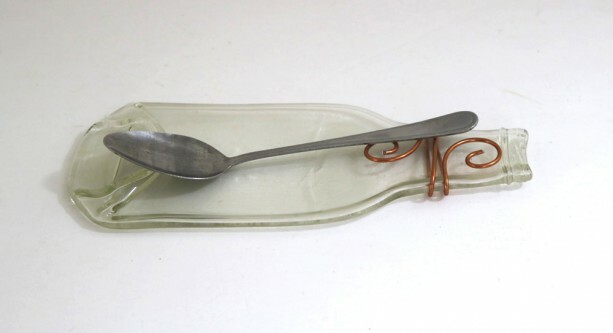 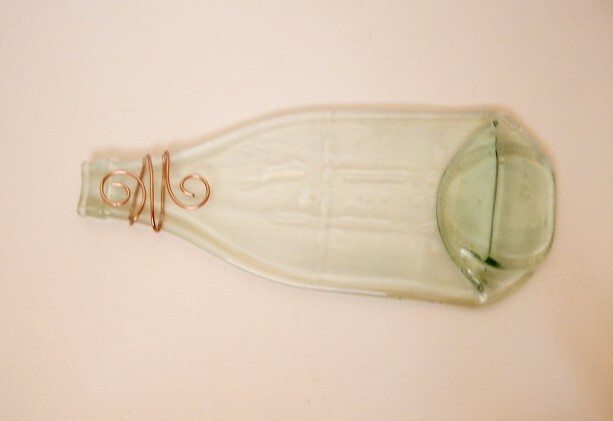 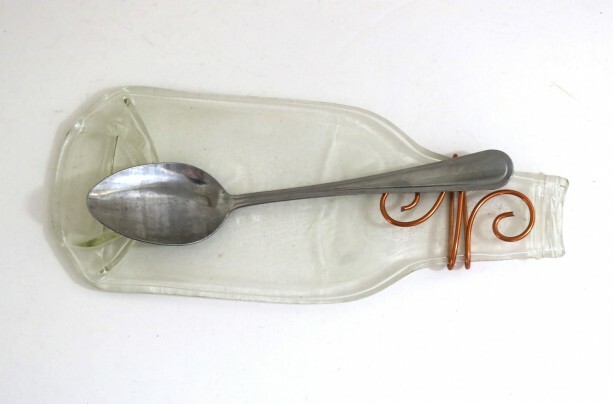 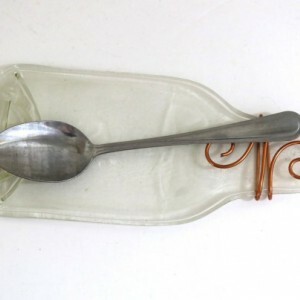 Small glass spoon rest made from a clear recycled flattened beer beverage bottle. 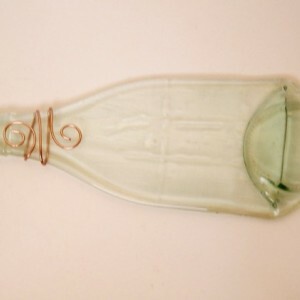 Wire wrapped with copper coated wire. 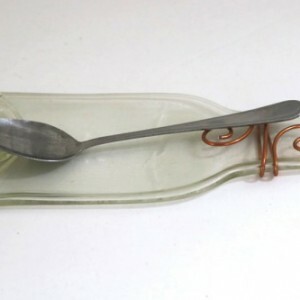 Makes a great house warming gift, wedding gift, gift for beer lovers, gift for those who love to cook.